We are a leading Manufacturer of steel table leg, steel door frame, shelving bracket, table legs, metal table base and stainless steel space frame from Mumbai, India. Our range of steel table legs is a great place to start if you’re thinking of creating your own table or workstation from our range. We’ve got a variety of colors to choose from, and materials and styles designed to give you the utmost flexibility when designing your table. But we don’t just stock normal steel table legs; you can even mix and match base with trestles, allowing you to create a table from scratch that’s easy to put together, and unique to your home office. 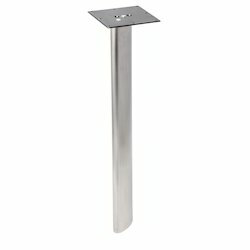 Ideal for interior and exterior applications, including corridor openings and outside unit entries. Great for applications allowing the use of decorative casings and molding trim. All frames fabricated from galvanized steel and factory coated paint finish for rust inhibition and superior paint adhesion. All base frames are kerfed to receive foam weatherstrip for air infiltration resistance. Pressure-fit weatherstrip is easily removable for field painting. Installable into wood and steel stud walls, as well as masonry construction. we are providing our customers excellent quality Shelving Brackets that are appreciated for their immense use in door fixation. Our deft designers put their efforts in designing and manufacturing these accessories utilizing supreme grade metal alloys at our well equipped manufacturing unit as per the set market standards. 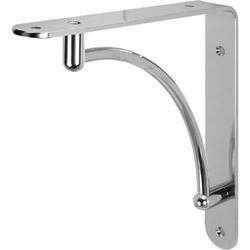 Moreover, Shelving Brackets are tested on different parameters to maintain our firm's quality trust and is available with us in varied designs and sizes at affordable prices. 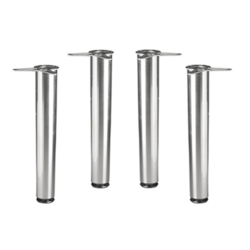 Our range of table legs is a great place to start if you’re thinking of creating your own table or work station from our range. We’ve got a variety of colors to choose from, and materials and styles designed to give you the utmost flexibility when designing your table. But we don’t just stock normal table legs; you can even mix and match legs with trestles, allowing you to create a table from scratch that’s easy to put together, and unique to your home office. Our range of metal table base is a great place to start if you’re thinking of creating your own table or work station from our range. We’ve got a variety of colors to choose from, and materials and styles designed to give you the utmost flexibility when designing your table. 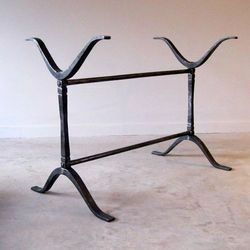 But we don’t just stock normal metal table base; you can even mix and match base with trestles, allowing you to create a table from scratch that’s easy to put together, and unique to your home office. The space frame system is a kind of steel structure, which could realise the structure of large span and special shape. 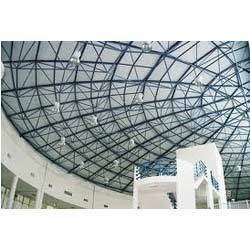 The steel structure was widely used in projects such as auditoriums, car parkings, workshops, logistic centers, stadiums, airport lounges, exhibition centers, hypermarkets, warehouse and other civil and industrial constructions. Our company is the leading company for space frame structure in China. The Grade A enterprise of steel structure and space frame works-the qualification Certificate has been awarded by China Construction Ministry. In addition, we are able to contract to build various civil, industrial and agricultural projects both at home and abroad, to engage in multi-level labor cooperation abroad.